A year ago, I was traveling across the world. I had just moved out of my house, taken a leave of absence from my part-time job, and left without a lot of money or a good sense of whether I would be employed when I got back. I slept on hard floors, in hostels, on couches, and in rooms that were built on rooftops. I went without warm showers for a long time. I hiked up into the mountains of Nepal, witnessed the aftermath of the Egyptian revolution firsthand, and tried to figure out what to do when a street fight broke out around me in Moscow. And when I came back, I was changed. I had a new mission, and a different sort of intensity. I knew what I wanted to do, and I knew that to do it, I needed all the skills I could muster. I would have to learn, and learn quickly. Doors began to open. Ambiguity began to drain from me. Things that had been constants in my life for decades began to shift. A lot of things were culminating. I had stopped being vegetarian after ten years. Now, at the age of 30, I took my first real full-time job. Not to settle down — but to throw myself as hard as I could into what I was pursuing. At the same time, I began to notice a lot of other people doing similar things. A blogger I used to read abandoned his writing in order to pursue ‘technical skills’. A guy who left the internet for a year, returned with fury, and a new take on what it is we’re all doing. But I didn’t fully realize what was going on until I saw Iron Man 3. Ridiculous as it sounds, I think Iron Man captures something that many of us have been struggling with for a long time. I think it’s particularly strong if you’re male, but it’s really about humans, not gender. It’s the question of who we are. This is, of course, the stuff of clichéd mid-life crisis after mid-life crisis. It’s men starting to go bald, and trying to solve that problem with questionable taste in sports cars. It’s the lifeblood of the late-night infomercial industry. It’s something we’ve parodied and talked about and generally dismissed for decades and decades. But in our time, that question has become much more pointed. The identity crisis of the modern world has reached down and out until it touches almost everybody, leaving us with the mid-life crisis, the quarter-life crisis, and a crisis for almost any fractional value you care to name. For society as a whole, this seems to be driven by economic and technological change. The career structures of our world have been radically upset, leaving many people questioning whether traditional career advancement even makes sense. Technology has changed our social structures, and even our sense of what humans can do. The Terminator movies of the 80s, embodying our fear of what the machines might do to us, gave way to the Matrix films of the 90s, embodying our fear that technology had already swallowed us whole. For many people, this seems like exactly what has happened. Social networks came and went, until Facebook’s magic formula finally engulfed everyone’s lives. The constant stream of updates and information grew until many people feel like they are chained to their devices, always on call to react or respond to what’s coming next. And so, disillusioned with traditional society, caught up in a reactive codependence on our machines, many of us exist as consumers but not creators, reactors but never drivers of change. This is the crisis many of us face. But it is not the crisis faced by Tony Stark. On the surface, it would seem that Tony’s problems come from exactly the opposite direction. He was at the peak of achievement, influence, and power, and just when you thought he could go no further, he turned himself into a superhero. But it was these world-scale responsibilities that began to make him crack. Initially, he handled them quite capably. But the better he did, the more intense the pressure became. The more problems he solved, the larger the problems he faced; until, in The Avengers, he found himself up against extra-terrestrial forces so far out of scale, it left him shaken and reeling. He had taken on the responsibilities of protecting the world, only to find his view of the world ripped apart. Left without a world he could feel at ease in, he retreated to the only one he still controlled: his robotic exoskeleton. This is where Iron Man 3 begins. Tony is suffering from panic attacks, inability to sleep, and something resembling PTSD. He hides from his problems by obsessively building robotic suits in his basement, continually tinkering, withdrawing from life, putting up an iron curtain between himself and everything else. This isn’t actually that far from the crisis many of us face. After all, it’s not just that we’ve become disillusioned with conventional careers and achievement, and it’s not just that we feel swallowed by our own technological world. It’s that we, like Tony Stark, have been given grandiose dreams, and the narratives to fill them. Many of us have even pursued those dreams, momentarily brushing the ceiling, catching a glimpse of what life was like on the other side. And usually in terror, we recoiled. We flew too close to the sun, and we got burned. We’re left on the ground, shaking from the glimpse of the massive responsibilities that always lie on the other side of any significant achievement — unable to move forward, unable to go back. Having once been given dreams, we cannot abandon them. But having seen the other side, we cannot proceed. This is the dilemma Tony faces. He cannot abandon his self-imagined role as protector of the world. But he has seen enough to know that this role is too heavy for him to bear. And so he’s stuck, unable to function, caught in the middle of the perfect anxiety-inducing storm. 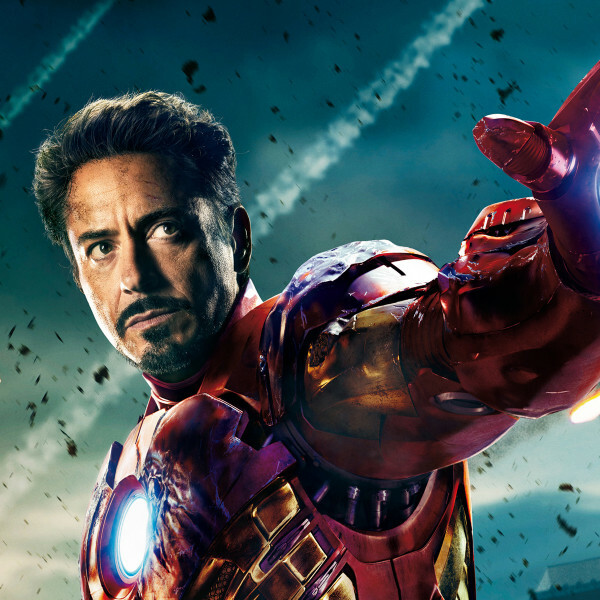 The lens through which Iron Man 3 tackles this problem is with the question: Who is Iron Man? The answer is far from clear. Is it the suit? Or the man who wears the suit? Or is it the all-powerful role he has to play? It is only when exiled from his home, his life, and his technological weapons, out in the middle of rural Tennessee in the dead of Winter, that he finally encounters the answer. And the answer comes from a young boy’s confusion as to who Tony Stark is. This is the turning point, the question that unravels everything. Tony’s all-powerful role goes away, along with his chronic anxiety. He is no longer the man who must save the world — he is simply the man who knows how to build things. But in building things, there is salvation. Because this, really, is what defines him. This is what he is made for — to create, to build, to construct. He is not a role, a suit, or a technology. He is the mechanic, and he makes things. And this is where Iron Man stands out from thousands of other stories. It doesn’t just answer our identity crisis by stripping things away. It doesn’t think we’ll find ourselves when we leave our jobs, or quit the internet for a year, or venture off into the wilderness, or follow a medicine man to India. It doesn’t look for the answer to our questions in recovering some pristine, primitive form of humanity, untainted by the modern world. Instead, it turns around and gives us something back. Armed with his new realization, Tony is able to let his suits go. He is not defined by them, and he does not need to hide behind them. But he isn’t rejecting technology. He’s not defined by what he has built, but he is defined by the process of building itself. Strip away everything he has, and put him in the wilderness, and he will begin to build civilization from the ground up. He, after all, is a human being, and technology emerges as naturally from us as beehives do from bees. He is not defined by his technology, but he cannot be defined apart from the act of creation. And so his tools, which had begun to swallow him whole, are now freed to function as tools. He is able to solve the last remaining issues with his heart, he is able to use technology more directly and more powerfully than ever before. And it is here, in this new self-understanding, that he truly becomes Iron Man. Not as the suit, not as the role, but as the white-hot power of creation that keeps working when everything else is gone. This is what I have started to see around me. People increasingly moving to shed their roles and their self-perceptions. People moving away from simple consumption, picking up tools and skills, and beginning to build. The man who abandoned the internet for a year went looking for meaning. And he came back with the conclusion that meaning was not found “off the internet”, but in the act of making something. His mentor told him, in so many words, “Stop thinking of your life as a narrative, and just build”. Reading this for the second time. Really, really impressive. Hits home. As I stand on the precipice of some big life changes, it's helpful to have someone reiterate what we're here for. Also, as a fan of Joss Whedon and RDJ, I hope that some of these themes reappear in Avengers 2. The Kingdom of God has a biotechnological research agenda How to Become Immortal Environmentalism Mandates Transhumanism The argument for basic theism The Simulation Argument, remixed Christianity is Transhumanism Transhumanism is a Mars Hill opportunity Broadcast From The Singularity The New God Argument and A New Apologetics What is Transhumanism? And why should Christians care?